The Danish government’s legal advisor, Kammeradvokaten, has issued a warning regarding two Italian companies in a consortium that is the preferred contractor to build the new bridge over Storstrøm connecting Zealand and Falster. Just before Christmas the trade union 3F revealed that Condotte and Grandi Lavori Fincosit were due to face charges of corruption in court in Venice, reports Politiken. The contract has not yet been signed. The corruption charges prompted the transport minister, Ole Birk Olesen, to request legal advice from Kammeradvokaten. Since the consortium is the preferred contractor, Vejdirektoratet cannot offer the contract to one of the other bidders, thus excluding the two Italian companies, without the risk of opening Denmark up to the risk of paying compensation relating to the loss of the contract. Kammeradvokaten has urged the Danish road directorate Vejdirektoratet to take a closer look at the economic situation of one of the companies. On January 9, Condotte went to court to seek permission to undergo a so-called reconstruction process. This is something that a company that is either insolvent or in a critical economic state can use to try to avoid going bankrupt. So if necessary, it might be possible to annul the contract due to the company’s financial situation. 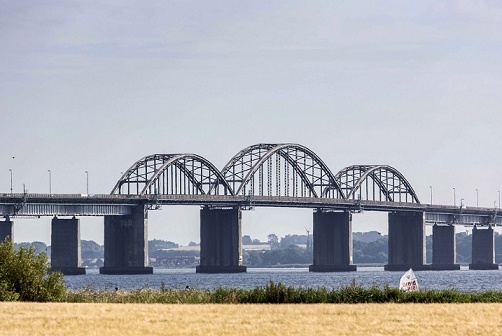 The contract is estimated to be worth 2.1 billion kroner, and if it all goes well the new bridge will open to cars in 2022 and rail traffic by 2023. The bridge is seen as a vital part of the Fehmarn Belt fixed link project.